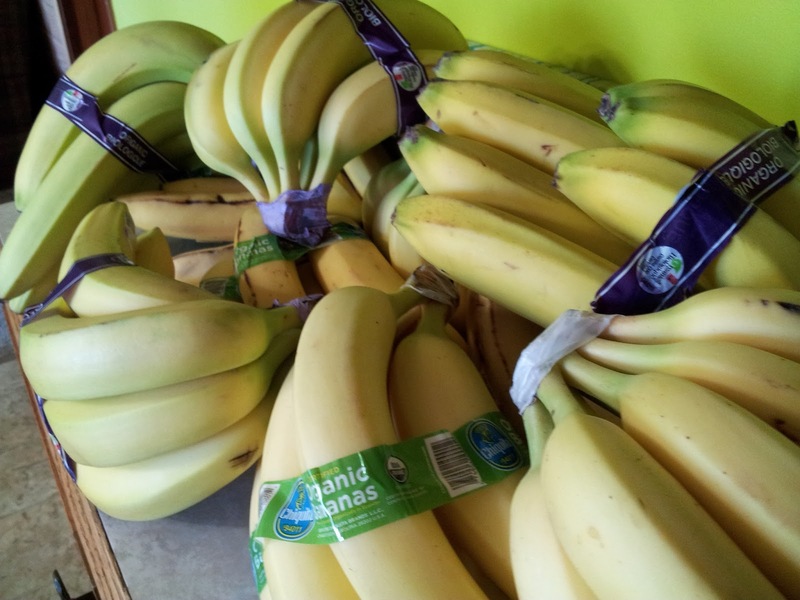 So, today is the first day that I really get into the bananas--(Banana Island) I am aiming for up to 25 (10-10-5) but will not force the issue, if you know what I mean. I ate my first 5 last night to break my 24-hour fast, and they were, shall we say, adequate? Bananas are very filling, but amazingly quick to exit the stomach and provide a huge wollop of energy-- I washed all the windows, inside and out, on one side of my house after my 5-Banana supper, and did assorted other little jobs that involved cleaning. I felt very virtuous along with energized! So, on with the 7-Day Cleanse! It's nice that my hubby is also doing the cleanse, although he has opted out of the mono-banana part of it and had a very tempting looking fruit salad while I wolfed down my bananas. I am guessing that he might join me in one or more mono-meals over the course of the week. Today we go to our afternoon Bible Study / Prayer group in town and generally go out for tea and maybe an early supper after the group. Today I imagine we will either come home and do some gardening (it looks like it will be another gorgeous sunshine-y day) or maybe do something else to avoid our usual bad habits. He does like to read the daily newspapers at the cafe, though, so we'll see how it goes (yes, he is a retired accountant, so reading 5 newspapers free is a great draw to that place). I ran across this delightful recipe for a Banana-based Green Smoothie this morning and will definitely put it on my menu for next week: Banana-Lime-Orange Green Smoothie.